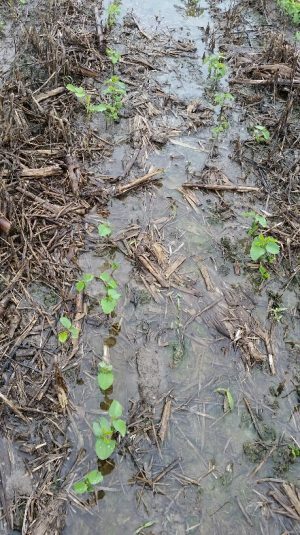 Flooded Soybeans – How Much Damage? What to do? 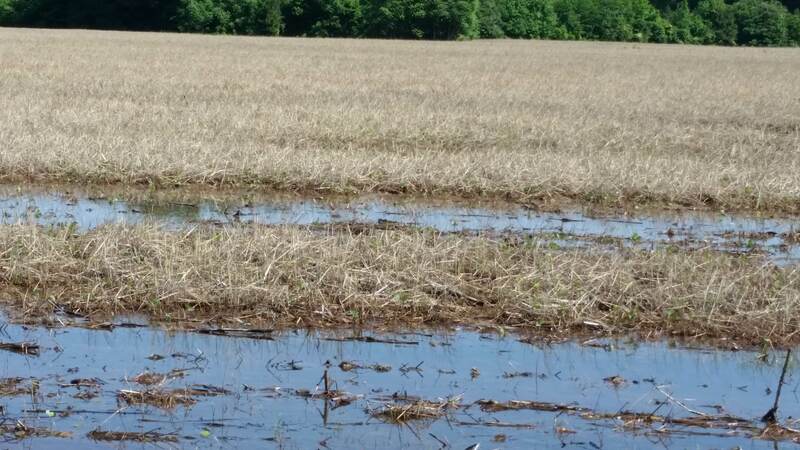 Rainfall across the state resulted in in saturated soils and sometimes flooded soybeans or fields to be planted in soybean. Although fields are drying out, more rain is expected this weekend. 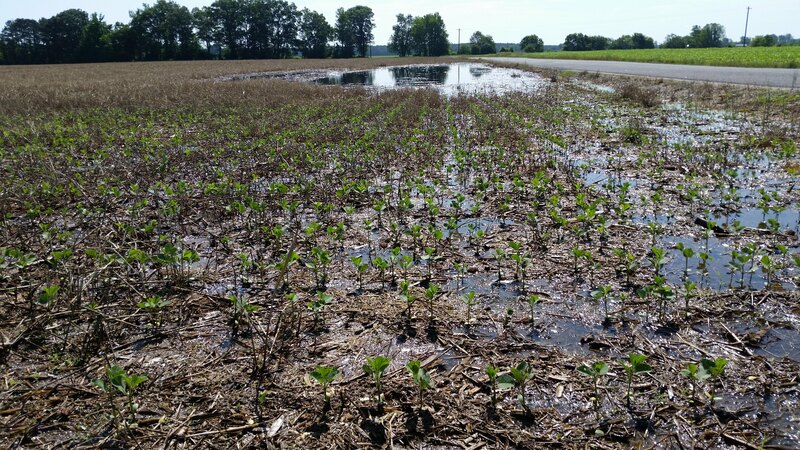 It’s difficult to know the long-term effect of flooding on soybean fields. Research is limited, but we do know that the fate of flooded fields will largely depend on 1) the development stage during which the flood took place; 2) the duration of the flood; 3) the temperature during and right after the flood; and 4) the drying rate after the flood. Basically a flooded field depletes the roots of oxygen (O2), causing photosynthesis to slow. After several days without O2, the plant may turn yellow, grown very slowly, and possibly die. Other indirect effects of flooding can include reduced nitrogen-fixing bacteria (but they will recover), nutrient imbalances, and increased disease pressure. 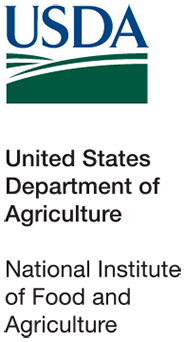 For more detailed information, see a blog post that I wrote in 2013 at the Virginia Soybean Update site. I don’t recommend tillage to dry the soil out for continuous no-till fields. Tillage will destroy the soil structure that you’ve built since tillage was stopped. The field is probably draining better than it ever was; tillage will just cause water to stand longer in the future. 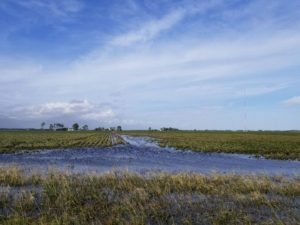 Bradyrhizobia japonicum, the nitrogen-fixing bacteria that helps provide soybean with that nutrient, is harmed by lack of oxygen caused by the flood. 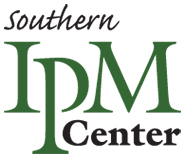 Although the bacteria will recover, it may be prudent to add inoculant to the seed in areas that were flooded. Minimize any addition stress by staying out of the field. Do not try to plant or replant too soon. More damage can be done to the soil and more yield can be lost from planting into we soils than from planting too late. If soybean have not yet emerged and crusting evident, light tillage with a rotary hoe will help emergence. Evaluate the stand. If a stand reduction occurred, determine if it’s worthwhile to replant. Remember that after mid-June, every day delay in planting will cost you about ½ of a bushel in yield. The plants that remain are still higher yielding than seed that can now be planted, even if the stand has been substantially reduced. Stress such as herbicide injury can slow the crop down further. Still, weeds need controlling. But you may want to select herbicides (usually as tank-mix partners to glyphosate) that don’t cause a significant amount of burning. Finally, some will want to apply some type of foliar fertilizer to the crop to “kick-start” it back to health. I see little advantage of this. Remember that the real problem is lack of O2 to the roots and CO2 buildup in the soil; only after the roots begin to receive O2 will the recovery process start.Hopefully you haven’t experienced severe flooding (> 24 hours). But if so, be patient and evaluate the field. Then make good decisions on how to handle it.